Happy, happy Friday y’all! What a week! Really, what a MONTH. If there’s one thing I’ve learned, it’s that life is peaks and valleys. For some reason it feels like the Lord has put me right on top of a mountain these past couple of weeks. I am soaking it all in and can’t stop smiling! I usually reserve Friday mornings for a roundup of the cutest new arrivals to hit the web, but I was inspired by the crazy fun week I’ve had to do something a little different… a “Friday Fun” post! I’ve seen lots of bloggers I follow do a “Friday 5” post, and this is a little spinoff of that. Here are 5 fun things that have put a smile on my face this Friday, and will hopefully send you into the weekend on a happy note! 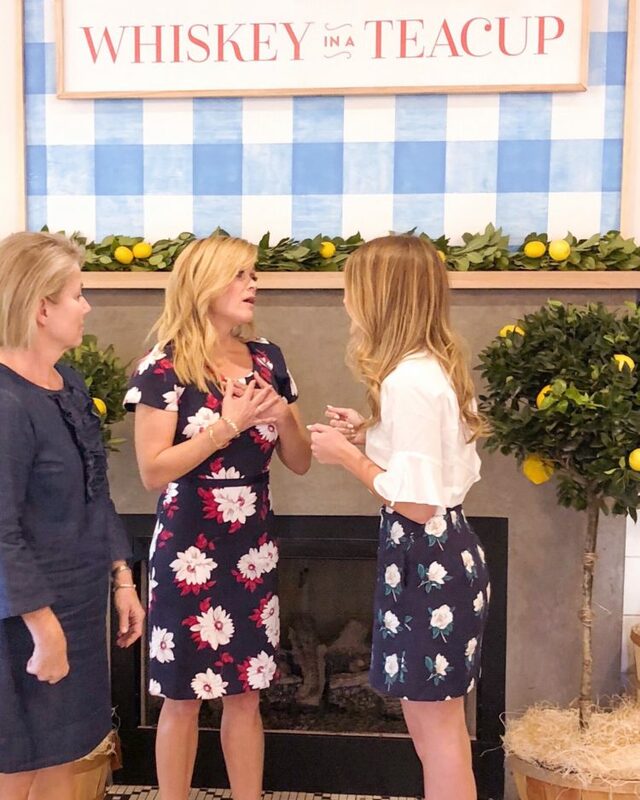 ONE // Gushing to Reese Witherspoon about getting engaged. 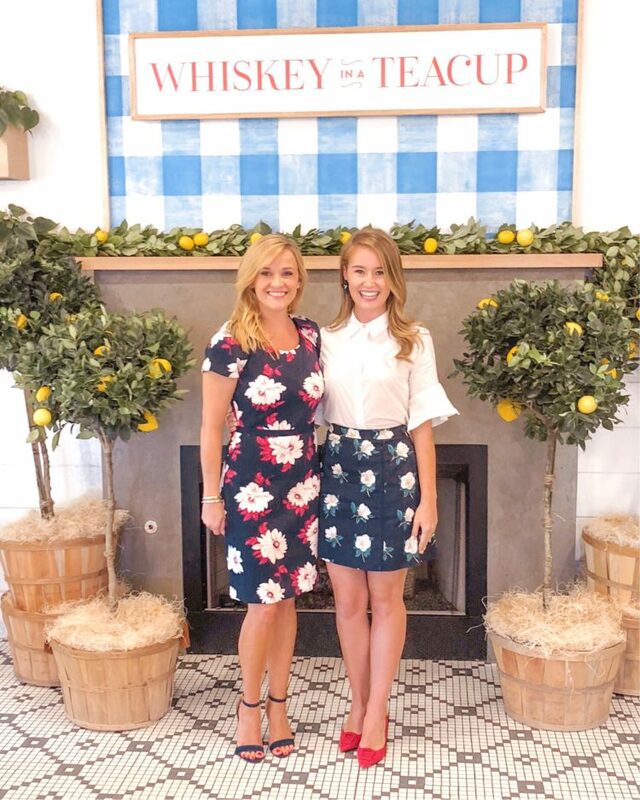 Yesterday, my mom and I had the incredible opportunity to head over to Waco, Texas for Reese Witherspoon’s “Whiskey in a Teacup” book tour. 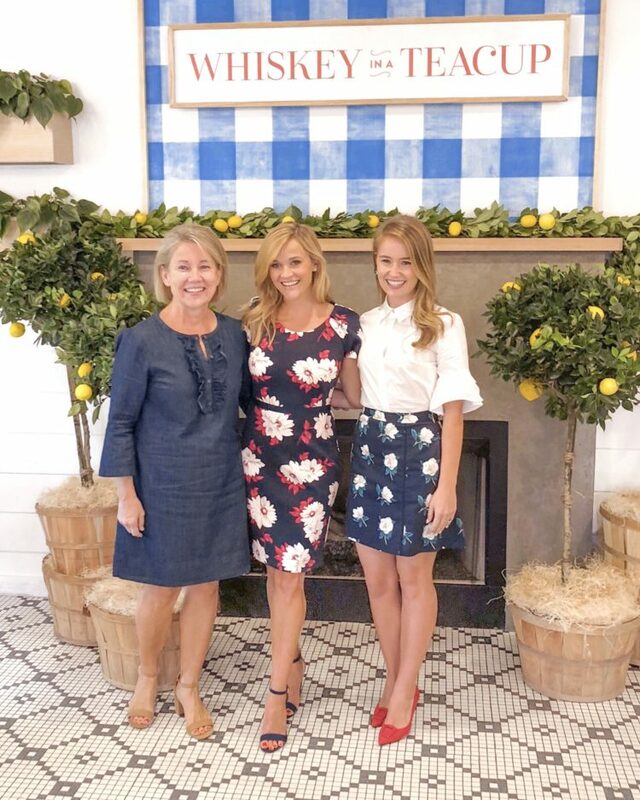 We even got to meet her at Magnolia Table! Y’all… she is truly as SWEET and genuine as it gets. Exactly what you’d expect from watching her movies! Yesterday, I asked y’all to vote on which shoes to wear to the event. Between navy and pink, this gorgeous Zara pair won! I mean… I was meeting Elle Woods. Was there ever really a question? Ok, y’all.. how fun is this. Tomorrow, I’m headed to the Dallas Tough Mudder event with Soap & Glory! (And you bet I’m bringing Andrew along…:) I’ve never done anything like this, so I’m excited to see what it’s all about! From what I’ve heard, there’s a fair bit of mud involved. I can’t wait to share the experience on Instagram, so be sure you’re following along! Ever since I heard it in church last sunday, the song “My Worth Is Not In What I Own” has been on repeat. There are so many great versions on Spotify, but I’ve especially been loving the cover by Bethany Bernard! That rounds out today’s Friday Fun post. Let me know what y’all think about this little series below.. if you love it, I’ll start doing these more! Absolutely loved the photos of you meeting Reese Witherspoon!! So precious. Enjoy your weekend, Kate! That is the SWEETEST picture with Reese reacting to your story! Love it – and you looked so cute for that event! I followed along for your tough mudder and that looked INTENSE – definitely something I’ve been too scared to try!